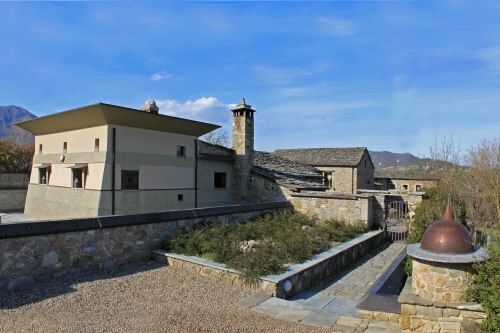 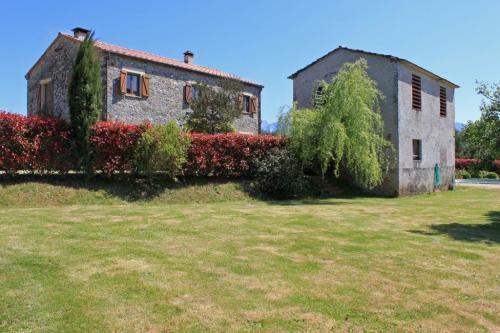 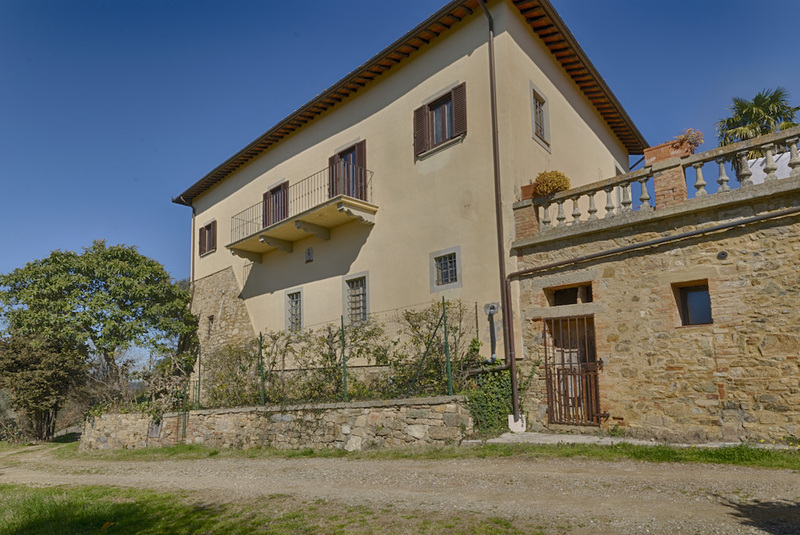 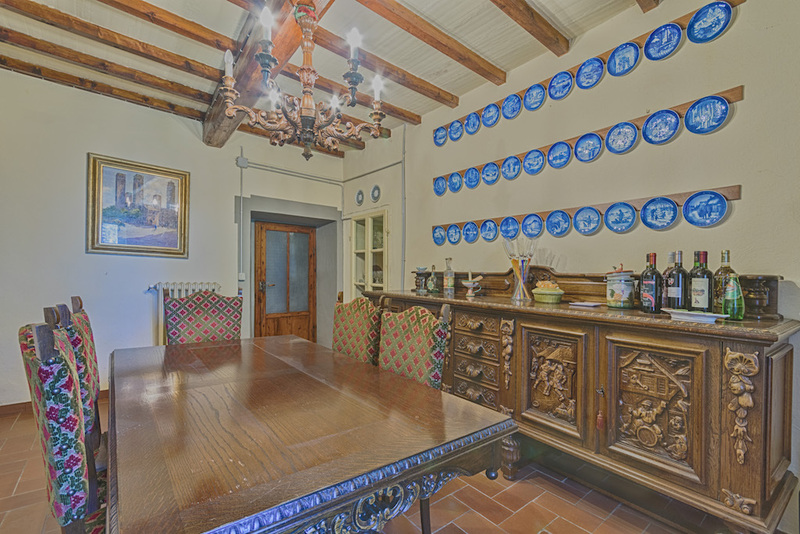 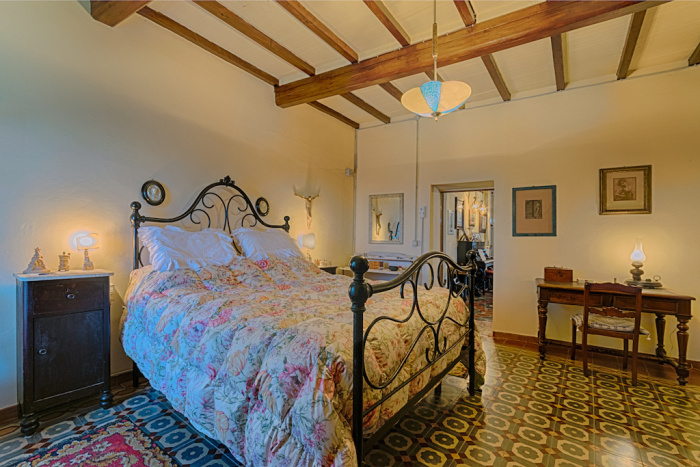 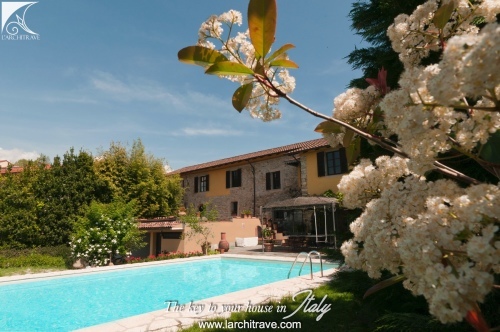 Superb Tuscan manor house set at the edge of a small hamlet with breathtaking views over the classic Tuscan countryside of hills, meadows and cypress flanked lanes. 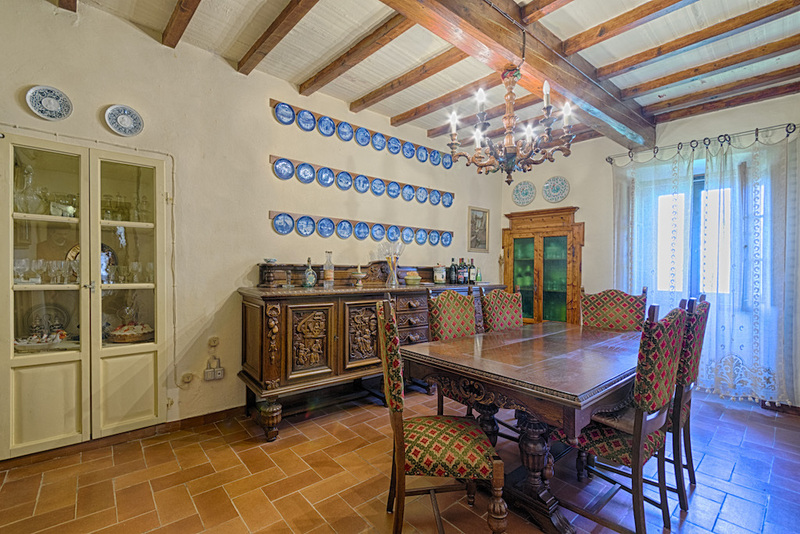 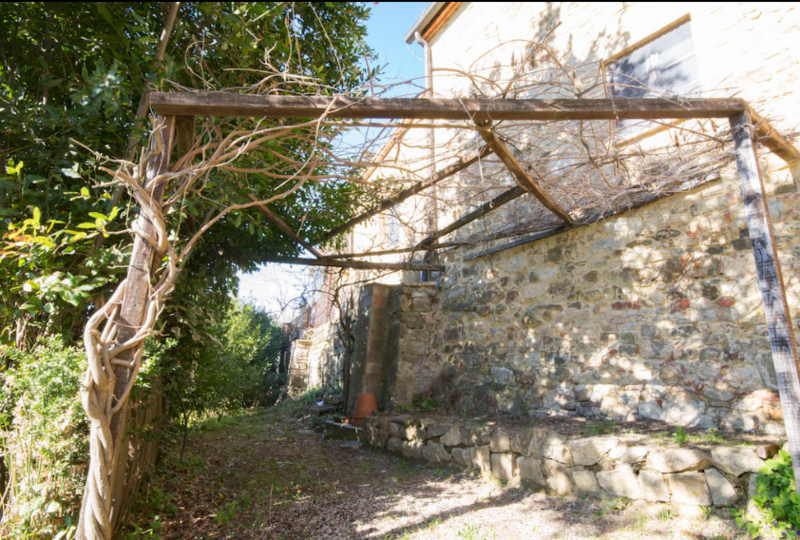 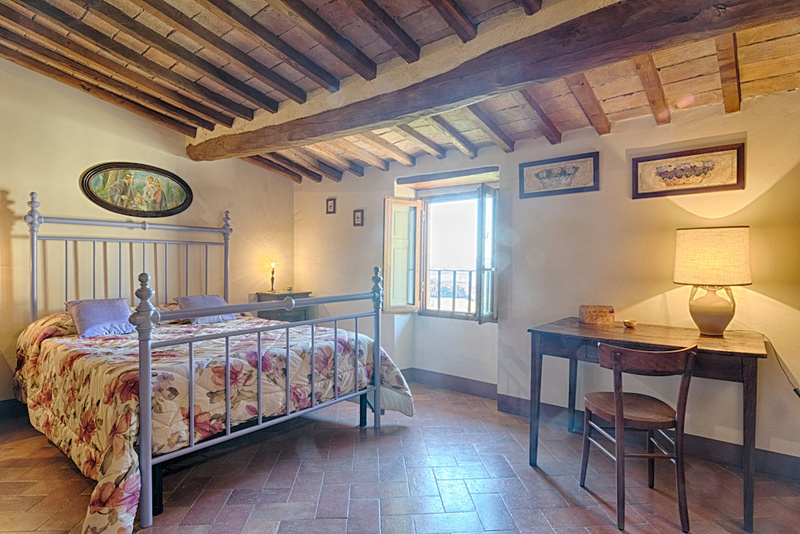 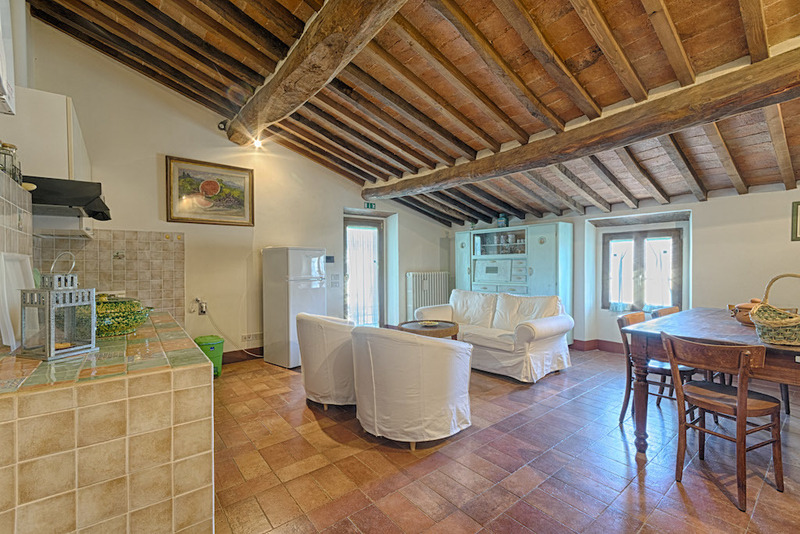 The property has been beautifully maintained and offers spacious and elegant accommodation. 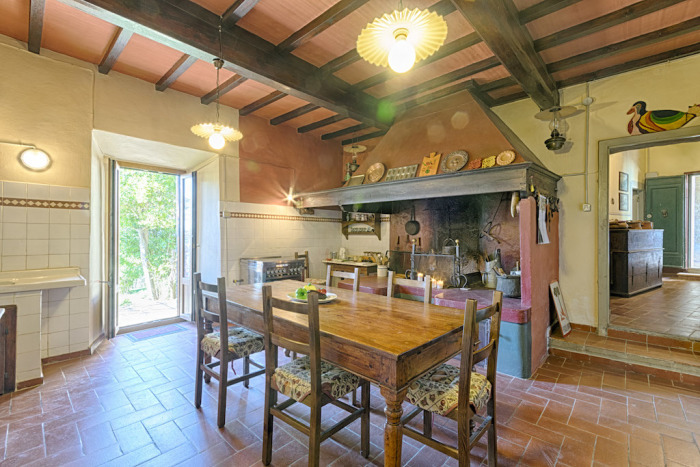 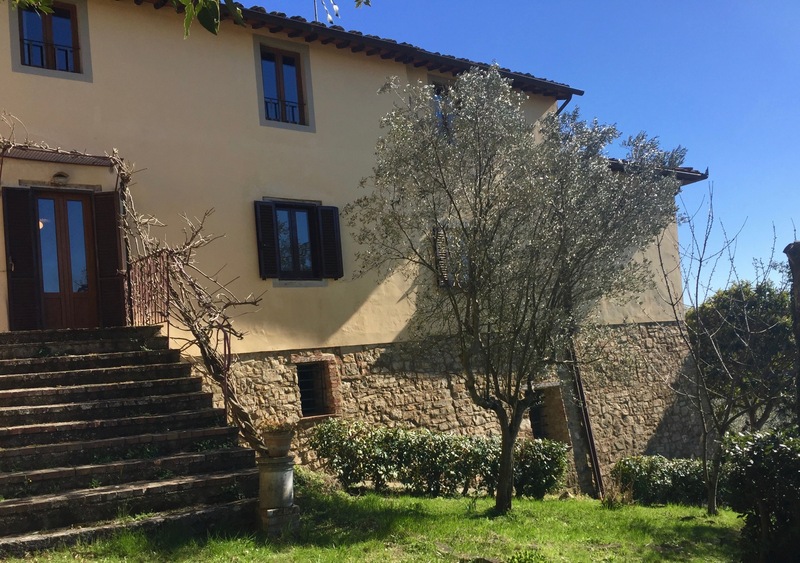 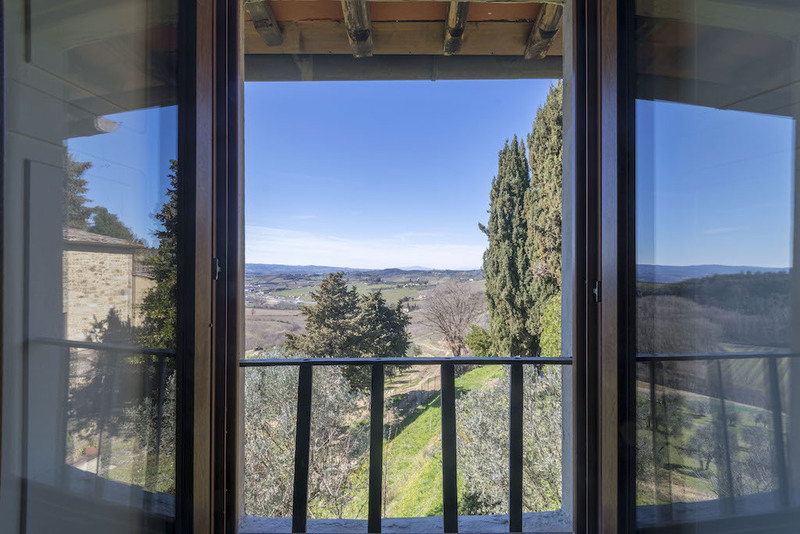 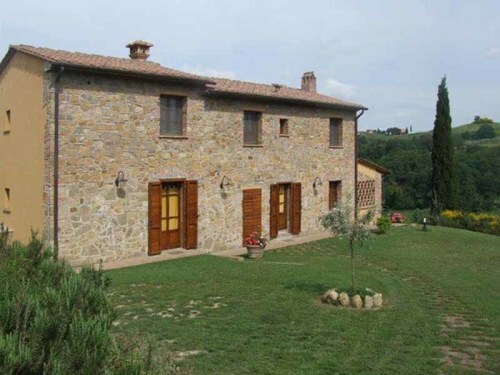 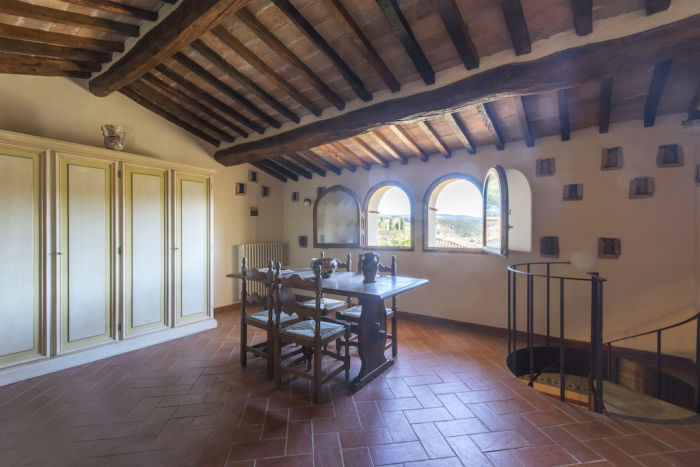 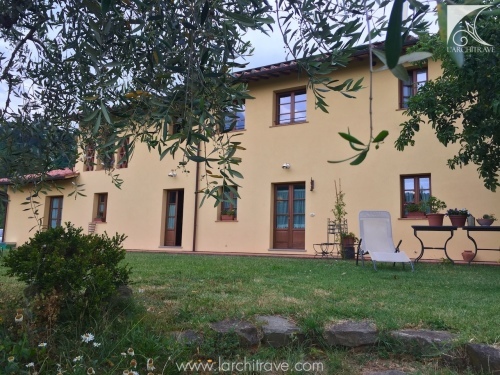 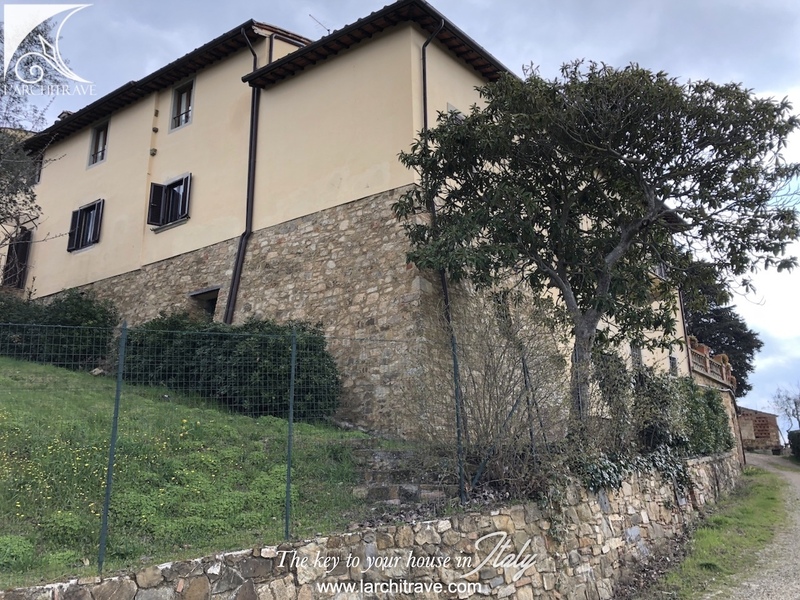 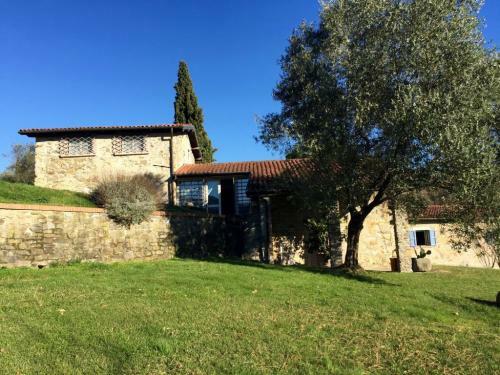 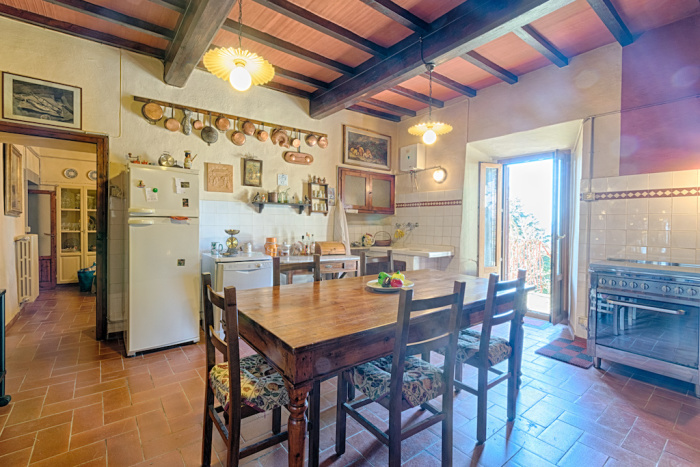 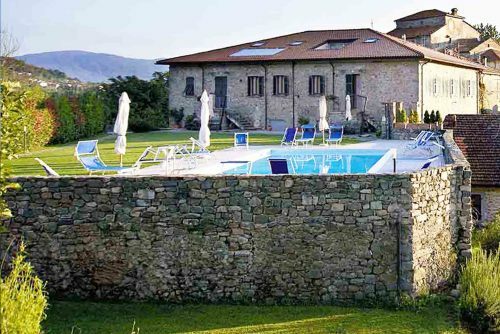 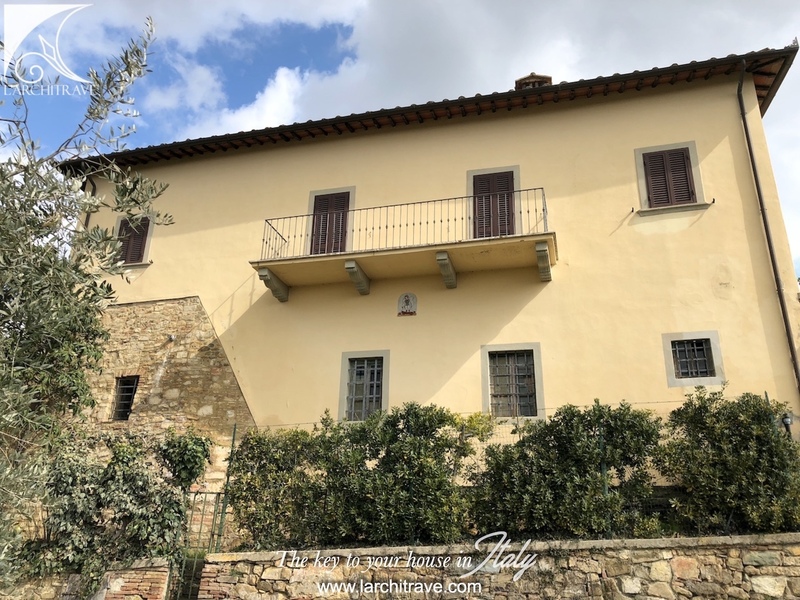 Set just 5 km from Poggibonsi on a hillside with olive groves and at the edge of a small hamlet less than half an hour from both Siena and Florence. The house was the manor house and extends to 500 square meters with a further 300 square meters of cantinas, and is accessed from a gated-drive. 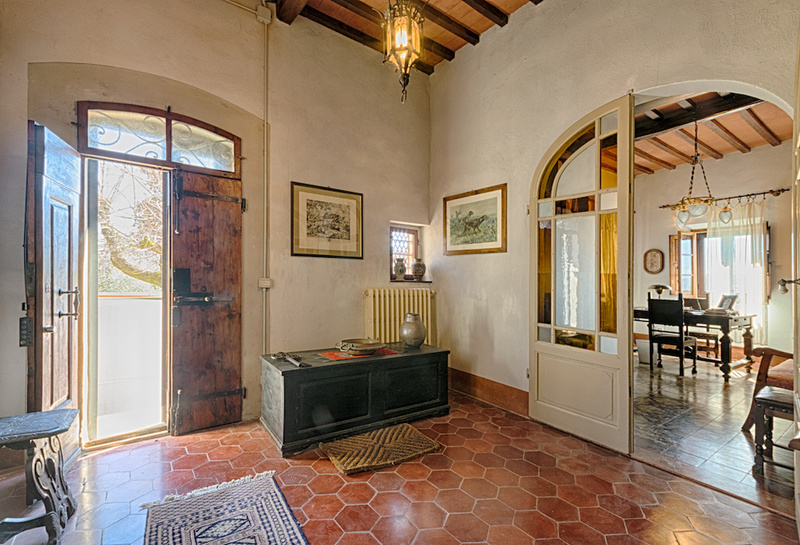 the upper level also has a private entrance and can be separated from the main house. 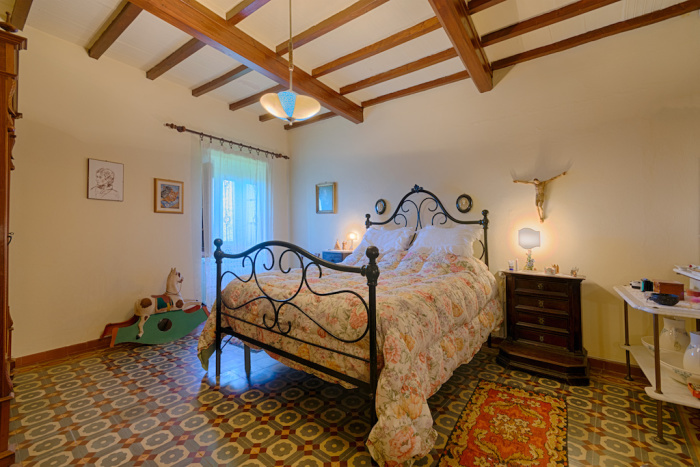 Upstairs there is an attic room for storage. 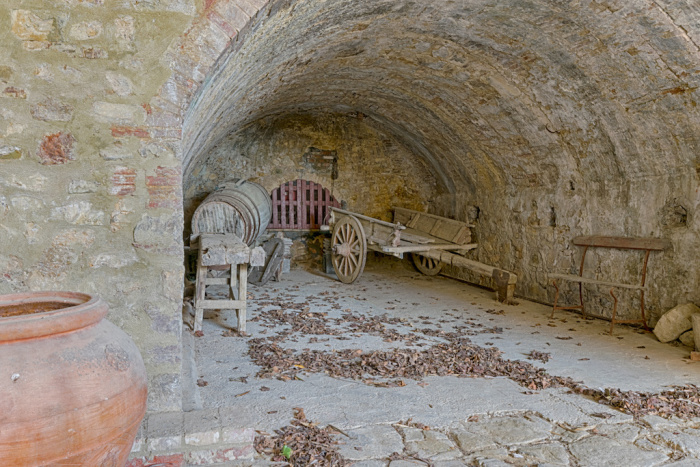 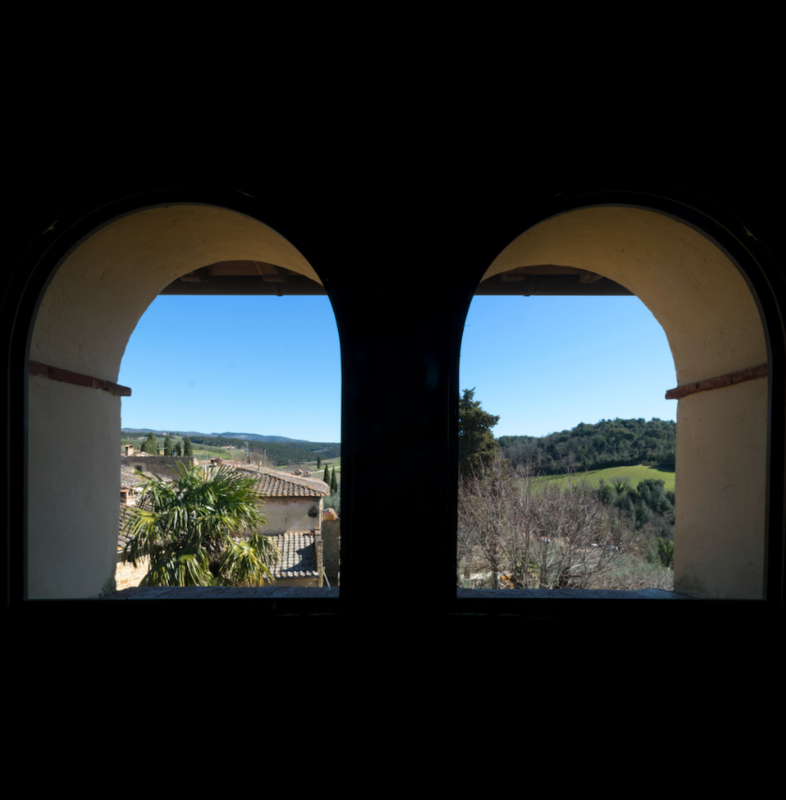 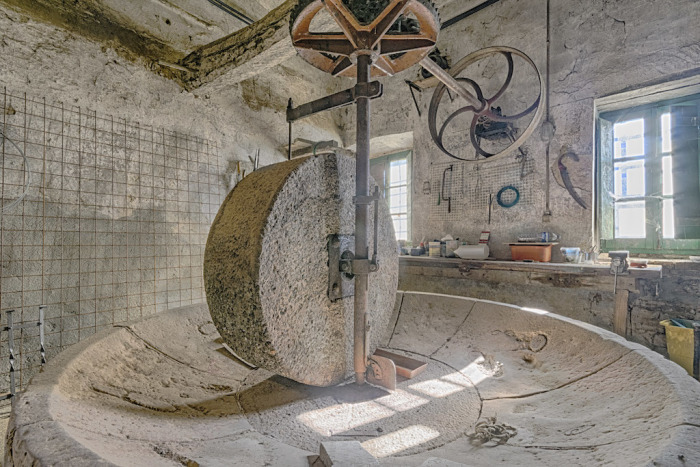 On the lower ground floor are the old cantinas that were used to store and make the wine and the olive press room. The rooms are stone vaulted. 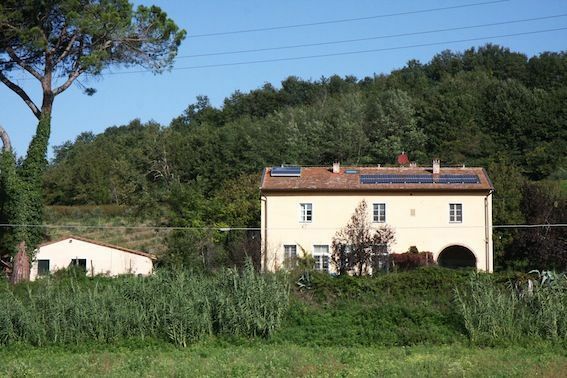 The house is connected to main services (including water, electricity, telephone) and has central heating and also has a private well. 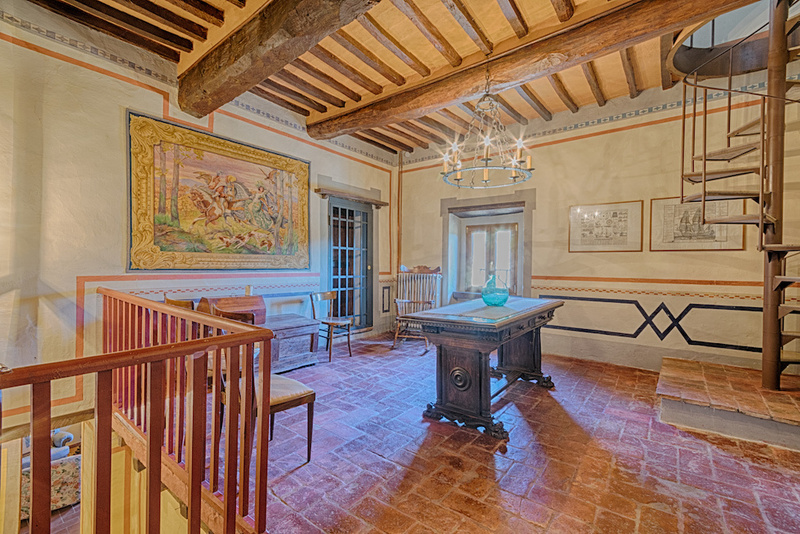 The house is presented in excellent condition. 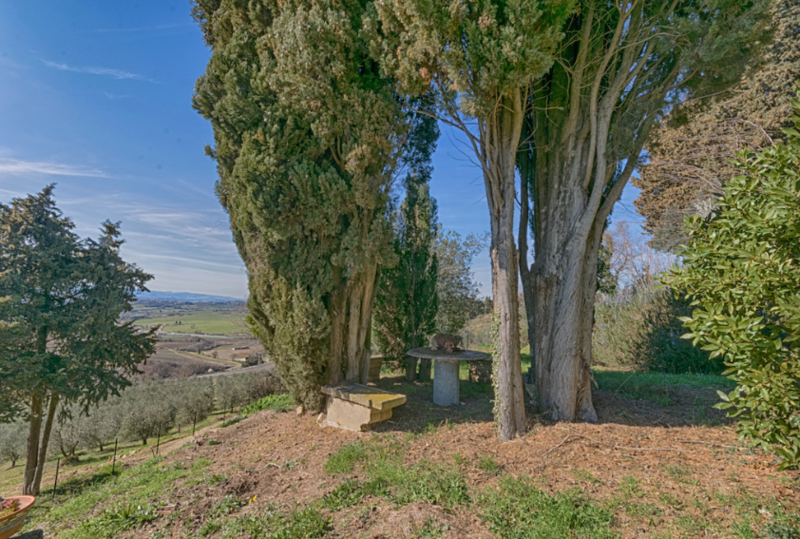 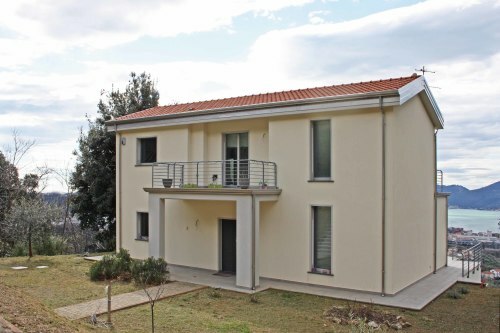 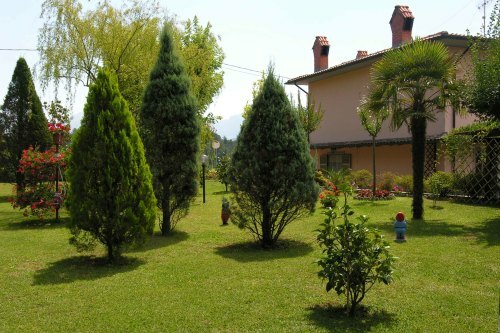 Land extends to 1 hectare and comprises olive groves and meadows. Distances : Poggibonsi 5 km with an historical centre and a selection of shops and restaurants, Castellina in Chianti is 15km away, famous for the many wine tasting cantinas dotted around, Siena 35 km and Florence 45 km, Pisa 90 km. 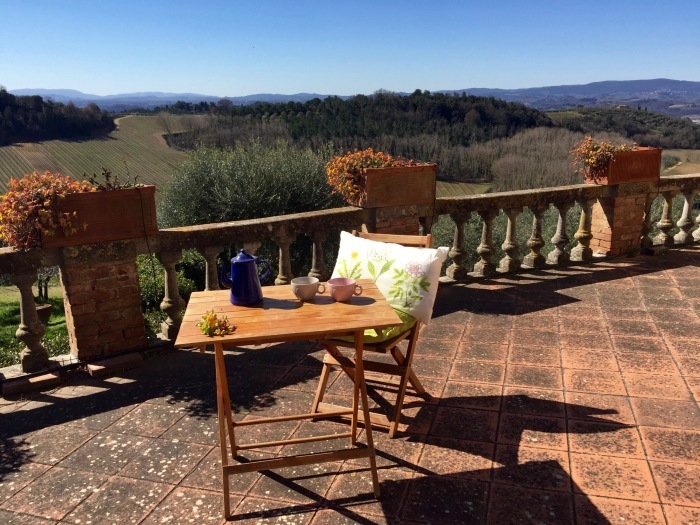 Chianti is the charming hill-covered region surrounded by the cities that formed the cradle of western civilization. 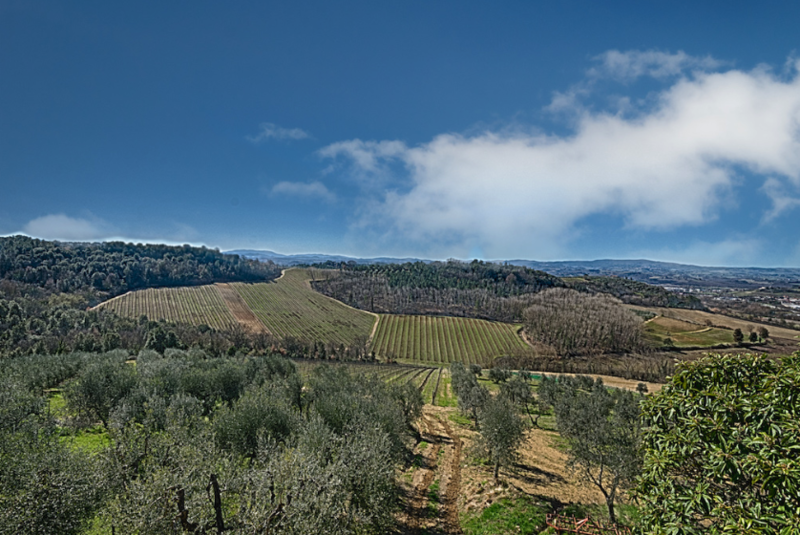 The name "Chianti" is synonymous with excellent wines and is currently used to identify several different areas of the territory. Chianti is the area of rolling hills that stretch for about 20 km across Tuscany (from North-South-Southeast). 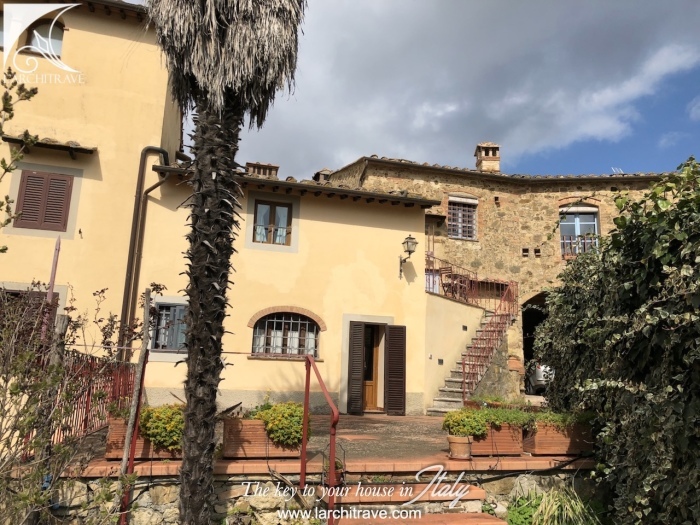 "Chianti" is the area within the three municipalities of San Casciano and Tavarnelle in Val di Pesa, Greve and part of Barberino Val D'Elsa, as well as the Sienese areas of Castelnuovo Berardenga and Poggibonsi. 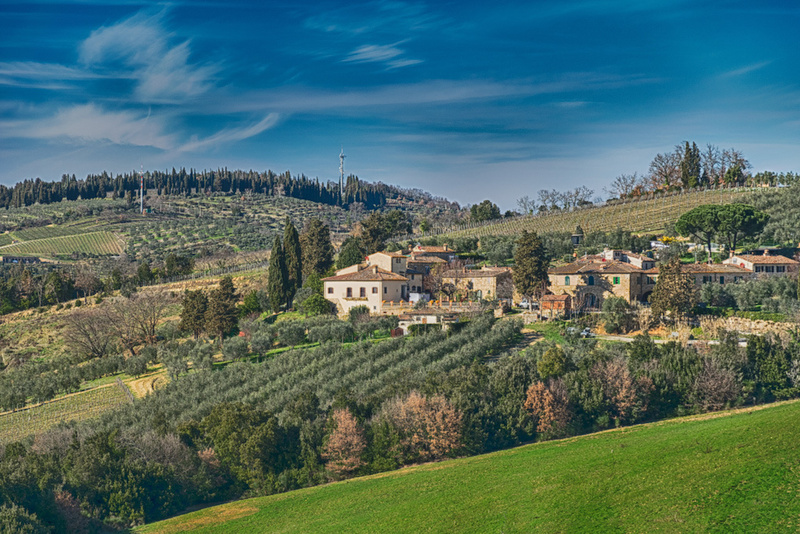 Only wines produced within these municipalities can be named "Chianti Classico" and are certified with the famous Black Rooster symbol. 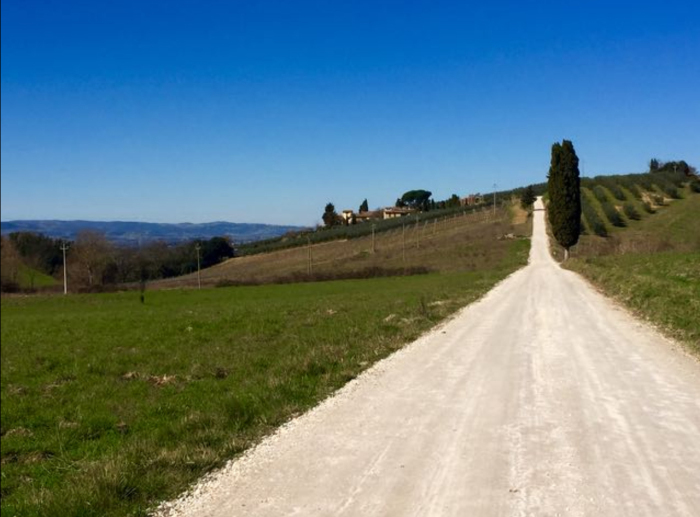 As you stand upon a hill, the view of the silver of the olive trees, the green geometry of the vineyards, the roads lined with tall green cypresses and the borders of the woods lined with yellow broom combine in a palette of colors that seem to create a unique painting.